I forgot my iPhone backup password, how do I get the password again to restore my iPhone data? I have to recover my lost text messages, photos, contacts and so on. With so many passwords to remember, you might easily forget them now and then. 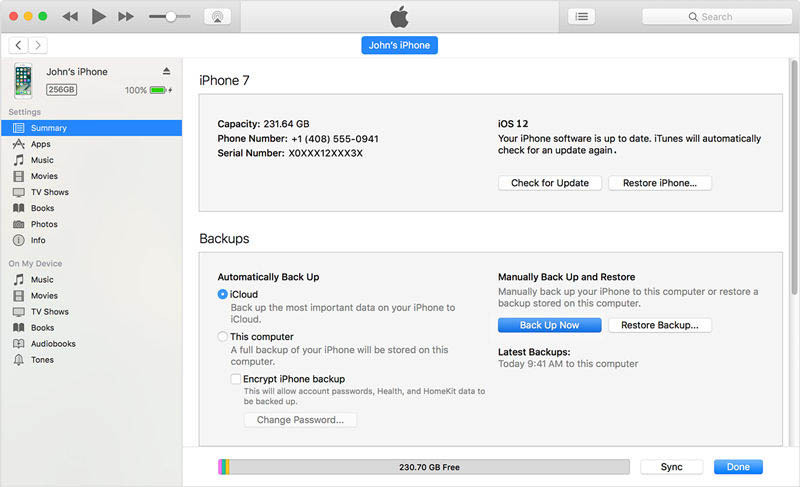 However, not like your email password, Facebook password and other passwords which give you a way to restore through other accounts, once you forgot encrypt iPhone backup password, it seems that you'll have to lose all data in your iPhone backup. Actually, you'll be able to restore from the encrypted backup as long as you have 4uKey - iTunes Backup to unlock iPhone backup first. 4uKey - iTunes Backup is a powerful iTunes backup password recovery tool that employs both effective decryption technology and GPU acceleration to improve performance. It is able to decrypt iTunes backup password for all iPhone models including iPhone XS/XS Max/XR/8/8 Plus/7/7 Plus/6s/6s Plus/6/6 Plus/5s and iPhone 5. Get a free trial version and see how it manages to quickly disable iPhone backup file password. 1)	After you download and install 4uKey - iTunes Backup to your computer, you should click Retrieve iTunes backup password option. 2)Then you will find all your backup files on your computer are listed. If there's no your target backup file from the displayed list, you are able to click "Import backup files" link to import your backup file. 3)	The program provides 3 types of attack to decrypt iPhone backup password: Brute-force Attack, Brute-force with Mask Attack and Dictionary Attack. If you select the most appropriate one, you could effectively retrieve iTunes backup file password and save iPhone backup password recovery time. 4)	When you've selected attack type and set settings for this attack, click "Start" to find forgotten iTunes backup password. In a few minutes, the program will display the password in a pop-up window. Finally, you can enter the password you find when you need to restore from iPhone backup and get all your photos, videos, contacts, messages, etc. The passcode for your iPhone. 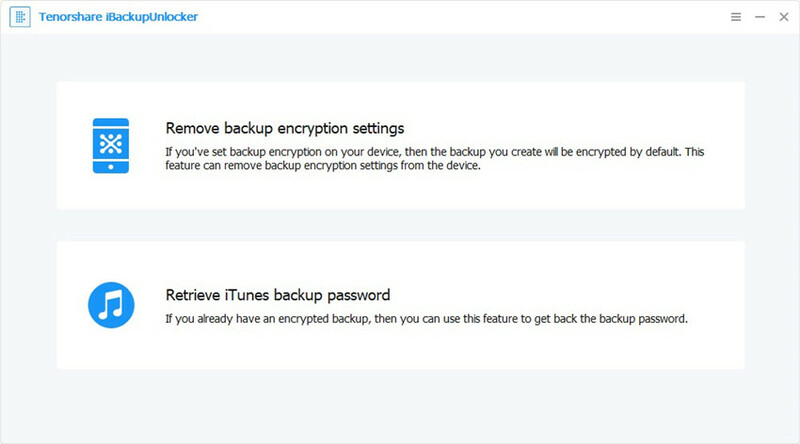 With the 4uKey - iTunes Backup you can easily get back lost password if you encrypt forgot iPhone backup. Share with your friends how to unlock iPhone backup password in case they forgot iTunes encrypted backup password.